The Japanese planned for war assuming that an American Fleet would steam across the Pacific from its base in Hawaii. The fleet would recapture—or relieve, if Japanese attempts to capture them failed—the Philippine Islands and also seek bases from which war could be brought to the Japanese homeland, such as Okinawa or Formosa. The Japanese plan was to prevent this by engaging the American Fleet in a large naval action, crippling it, and ending its journey. Victory in this “decisive battle” was how the IJN expected to win the war. This objective would be made easier by subjecting the American Fleet to attritional attacks as it moved west. Before the decisive battle, attacks by airplanes, submarines, and surface forces would reduce the strength of the American force, increasing the odds of victory in the decisive fleet action. Japanese light forces and submarines would attack from bases in the Marshall and Caroline Islands, granted to Japan in the aftermath of World War One. These islands sat astride the most direct route of advance across the Pacific, the one the Americans planned to take. There were good reasons for the IJN to invest so heavily in this core assumption. It reflected their recent history, and the lessons they had drawn from prior wars. The Russo-Japanese War had ended in a decisive action, with the Russian Baltic Fleet steaming around the world to its destruction at Tsushima.2 The Sino-Japanese War had also featured a major fleet action, victory in which gave the Japanese command of the sea. This historical experience was augmented by Japanese interpretations of the writings of Alfred Thayer Mahan, one of the most influential thinkers on naval strategy of the late 19th Century. His theories had a significant influence on Japanese naval strategy leading up to World War Two.3 The result was that the IJN focused almost exclusively on the decisive battle and the attritional campaign leading up to it. The daring attack on Pearl Harbor was the culmination of this thinking. In the years before the war, modifications to the basic plan had moved the anticipated location of the battle farther eastward and closer in time to the initiation of the war. The IJN’s quest for longer ranges and earlier action influenced its thinking strategically as well as tactically. But Pearl Harbor proved to be just the beginning. In the language of complexity, the concept of the decisive battle became a “singular attractor” for the IJN. Plans, tactics, and doctrine gravitated towards it, to the exclusion of other potential alternatives. This singular focus began to blind the IJN to other possibilities; the leadership ignored “weak signals” that suggested different paths to victory. This is the underlying reason why the Agile Manifesto places greater emphasis on “responding to change” than “following a plan.” When we follow a specific plan—when we emphasize its employment over alternatives—we risk creating a singular attractor that blinds us to alternatives. We focus on the plan; we invest ourselves in it; and we try to ensure that we conform to it. We do this even when other, more effective, options arise. This focus on a specific plan can trigger all manner of problems, but the most insidious is that the more we invest in the plan, the more power we give it as a singular attractor. The more attached we become, the less responsive we are to alternatives that could allow us to achieve the same objective with less effort. We become willingly ignorant of the weak signals in the environment; we miss potential opportunities with more favorable outcomes. This is what happened to the IJN. The faith it placed in the decisive battle was misplaced. American strategic mobility and industrial might permitted an advance on two fronts—through the South Pacific and across the Central Pacific. The Japanese lacked the forces to hold back both; their attempts to do so spread them too thin and left them vulnerable. The investment in attritional tactics did not play out as hoped. Attritional combat injured the Japanese as much as the Americans. In mid-1944, when the opportunity arose for the decisive battle, the Japanese lacked the capability to execute their prewar plans. The result was shattering defeat at Philippine Sea and Leyte Gulf. With their prewar plans finally thwarted, the Japanese formally adopted kamikaze tactics. Software teams that adhere to specific plans despite changing circumstances often adopt similar—but much less lethal—approaches, sacrificing themselves and the future of their applications in a fury of long hours and weekends. They, like the IJN before them, fall victim to an inordinate focus on a singular attractor. 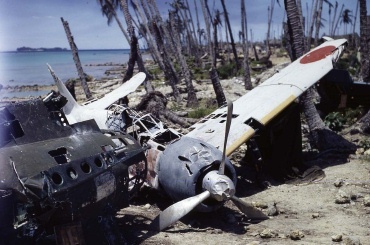 They are often no more successful, and the long-term harm done to morale and application architecture often bears a certain resemblance to the brave—but futile—kamikaze tactics of the Japanese.